The SEO arena is unstable and ever changing. With every Google update (e.g. Panda) the SEO world becomes affected. Some businesses go under, others rise up and new theories and SEO strategies come up. SEO is simply about getting a site or a blog to rank first in Google searches by staffing specific keywords in the site. The problem with SEO at the moment is that many sites in a bid to rank first on Google searches have neglected the quality of their content and Google are out to change this, one update at a time. The truth is that SEO is short-lived. Evolution will blow SEO of the water a chunk at a time. One of the sure bet methods to be successful online at the moment is to make sure that whatever you have to offer ranks first in Google searches. Google search at the moment does not have the ability to go through video files and content though the picture search feature is a start. They still rely on embedded text to a great extent, but slowly this keyword based orientation is changing. If SEO is your only strategy for success going into the future then beware. Your days are numbered. The clock is definitely ticking. What will be the result if Google Now and Apple’s Siri finally become the preferred way by many people to access the internet? What will happen when artificial intelligence finally comes of age? What then when all the text based content becomes the least meaningful of the content produced? As traditional SEO becomes obsolete, the need for valuable content becomes more apparent. Google engines are evolving into content based result generation. With every intelligence update of the search algorithm, SEO dies a little. Google’s ultimate goal is to please the user and that is only possible if the user accesses the most quality content. The internet future is about knowing what users want, how they want it and when they want it. The future is about context and ability to predict what to deliver to the user when needed. 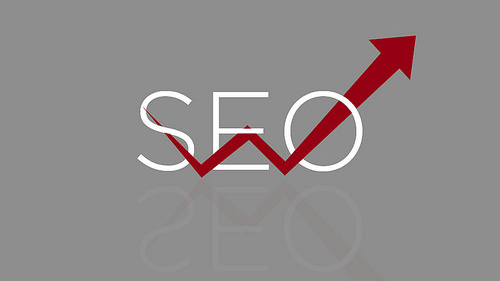 It is important to note that SEO as we know it will not disappear in an instant. This can be a blessing in disguise. It offers a good opportunity to focus on future success strategies. It offers a chance for all those who rely heavily on SEO to shift and evolve their way of doing things in order to maintain relevance as SEO loses viability. Being relevant, as earlier stated is about context. One of the SEO gurus properly put it by saying that what really matters is creation of quality content that users desire to consume. That is the only way Google will rank you highly in the coming days. If you get it right on the content front, then there is nothing much to worry about. This should be a wakeup call for all the stakeholders in the industry to smell the coffee and start moving in the right direction. Get free website traffic today with the leading traffic exchange at 10KHits!